Kids like to be independent. Back that up. Toddlers like to be independent. As much as I would love to coddle my 2 year old Mason, he has started voicing his opinions. He is a talking machine and since he has pretty clear language skills and sentence structure already, I can't really ignore him. 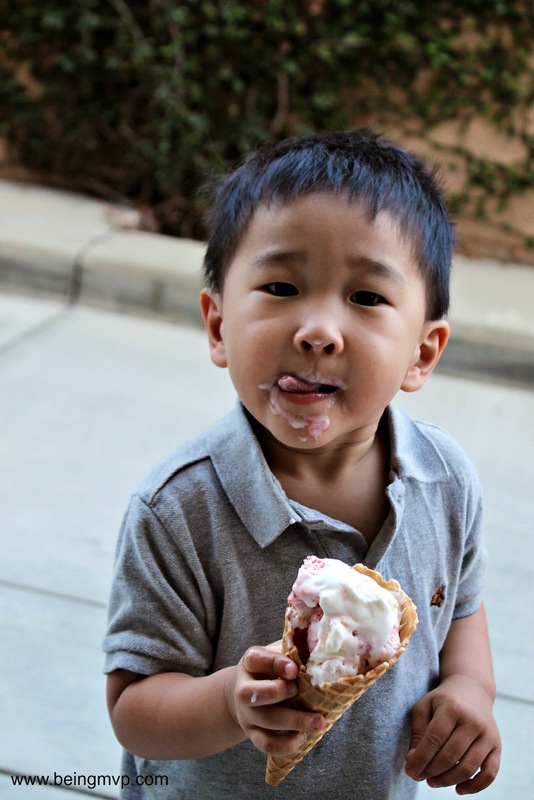 This means more messes while eating and guess what? I think I'm ok with it now that I have a canister of PURELL® Hand Sanitizing Wipes within arm's reach. The kids love to play at the park, playground and outdoors in general. However, that usually means they get pretty messy. Mason has recently discovered the joys of playing in the dirt sand and even rushes grandma to go back home to get his pail and shovel upon seeing another little boy playing with same. Kenzie, on the other hand, seems to like kicking up the dirt to create a dust cloud that gets everywhere! Let's just say that this mama is on them like a hawk with my convenient wipes. 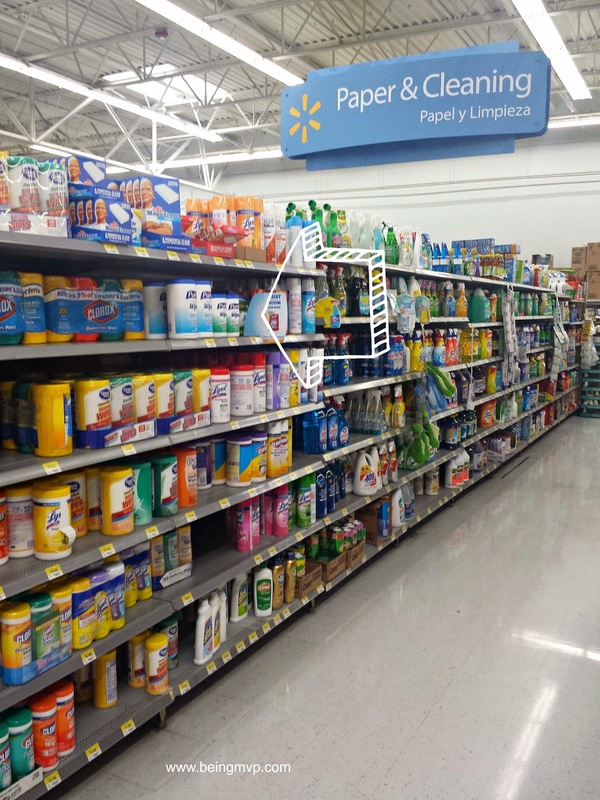 The PURELL® Hand Sanitizing Wipes are located in the household cleaning aisle (not where the hand sanitizers are) at Walmart. These wipes are available in 70-count and 35-count canisters which are perfect for use at home and out and about. Kenzie goes on field trips quite often with her preschool and the next one is to the Strawberry Farm to pick strawberries! The past two years that I tagged along, the fields were muddy and kids were getting grime everywhere. The PURELL® Hand Sanitizing Wipes will be perfect to give to her teacher to wipe everyone down after the fun (before lunch). 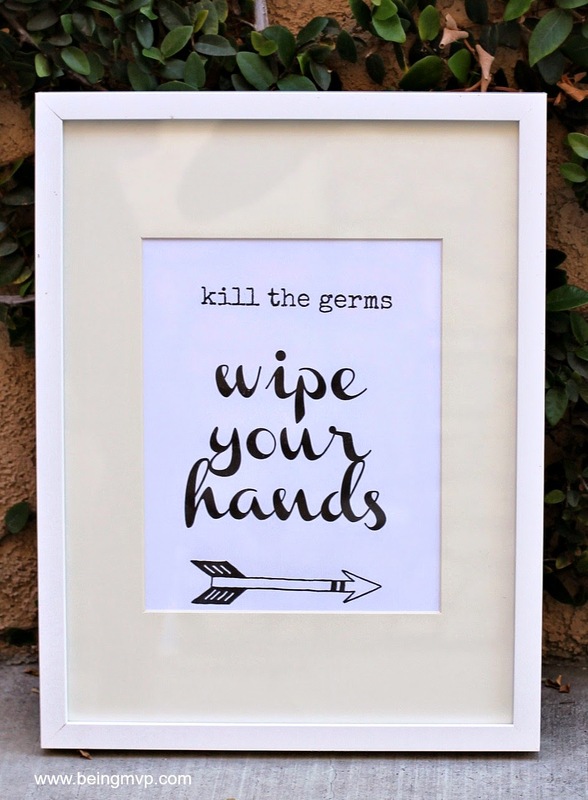 Plus how cute is this printable? Just cut out, punch a hole and tie to the convenient 35-count canister and send along with your child. 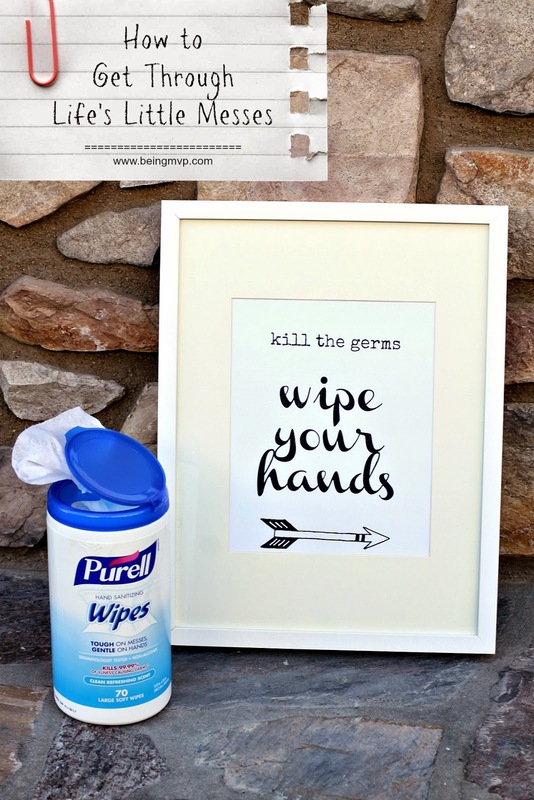 You can also remind your child at home with a larger printable that you can frame and hang next to the entryway (or patio door) with a canister of PURELL® Hand Sanitizing Wipes right there. I love these wipes because they sanitize hands, killing illness-causing germs on hands. You never know what children have touched when going outside to play and if your kids are like mine, they tend to touch their faces quite often so anything to help banish those germs gets an A+ in my book. Whether you are facing dirty hands and knees from the park or playground OR messy faces from a chow down fest, PURELL® Hand Sanitizing Wipes should be your go to keep your kids clean this Spring and forward. They are perfectly safe for faces and hands and convenient to keep everywhere. You can save $1 on any PURELL® Wipes canister or Save $1.00 on any two PURELL® Products. Grab your Coupon and make sure to stock up! PURELL® also has a loyalty program on their site as well as a 30 Day Challenge. What messes do you need to clean this Spring? Have you tried the PURELL® Hand Sanitizing Wipes? I love Purell Wipes! I use them on my fur babies' "feet" every time they come in from going potty. Thanks for the savings! I so need these of the car! My daughter, although 7 still loves to make a mess! With a 4 year old, these are a must-have. Thanks for sharing the discount to save. Can't wait to pick more up with a coupon. Purell wipes are the best! I use these on my hands but I also sometimes use them on a spill or a quick wipe of the coffeetable. We go through SO many wipes each day! Love that printable! I love using Purell! They are such a wonderful brand! I'll have to get some of these wipes and keep them in my car. I have such a messy family! I haven't tried the Purell wipes yet. I do love the brand though, so I will make sure to try them out. My kids are always getting messy. Those wipes sound really nice. I'd keep them near my front door for when I bring things into the house. With 5 kids these look like a must! Perfect for on the go! I have no idea that Purell made these wipes now!!! Thank you for the coupon! These are perfect. ill be keeping an eye out these. I've never tried the Purell brand wipes before! I love to wipe my hands when I'm not able to get to a sink to use soap and water. I have Lysol wipes where ever I can hide them. I love them and can't live without them. 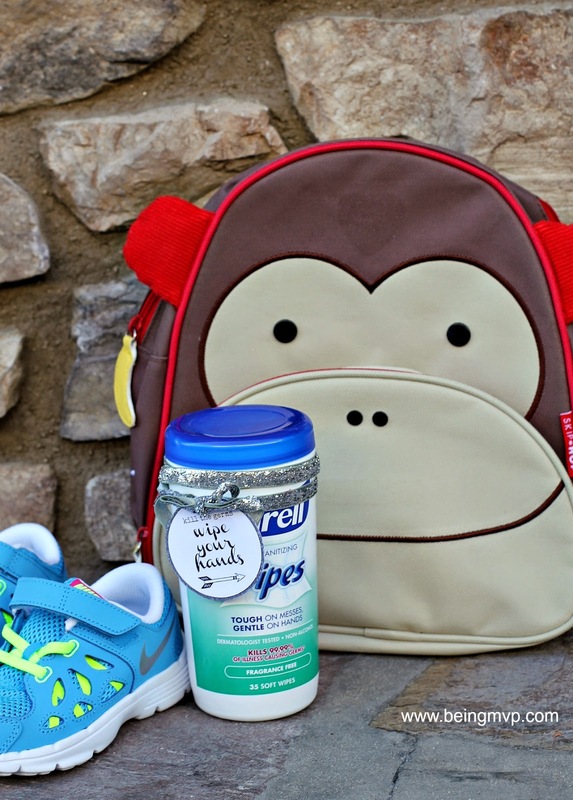 We definitely need these wipes with three little ones! My kids are forever making nasty messes! I am getting some for my car! No better way to clean up after a day spent at the playground!